The state government in Gujarat has claimed that the a host of memorandums of understanding (MoUs) for Foreign Direct Investments (FDI) totalling about $ 876 billion were signed during the five editions of the Vibrant Gujarat Global Investors Summits from 2003 to 2011. The government also claimed that an impressive 84 per cent of the projects have already been implemented or are currently being implemented in the state. However, some beleive that the figure is too large to be true as this mean that the state surpassed FDI favourite China, that was able to attract $600 billion during the same period. 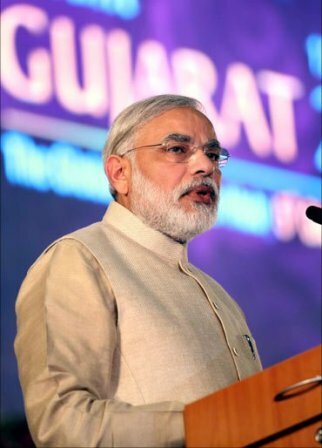 The state government did not announce the number of MoUs signed after the 2013 Vibrant Gujarat Global Investors Summit after Chief Minister Narendra Modi said that the state has emerged as the gateway to India. The state has ranked sixth FDI inflows for the financial year 2012-13 up to January this year, according to the latest figures. Maharashtra continued to the first in attracting FDI with Rs. 40,999 crore or 40 per cent of the total FDI followed by the national capital Delhi, Tamil Nadu, Andhra Pradesh and Karnataka. Gujarat took the sixth position with FDI of Rs. 2,470 crore or 2.38 per cent share in the country.